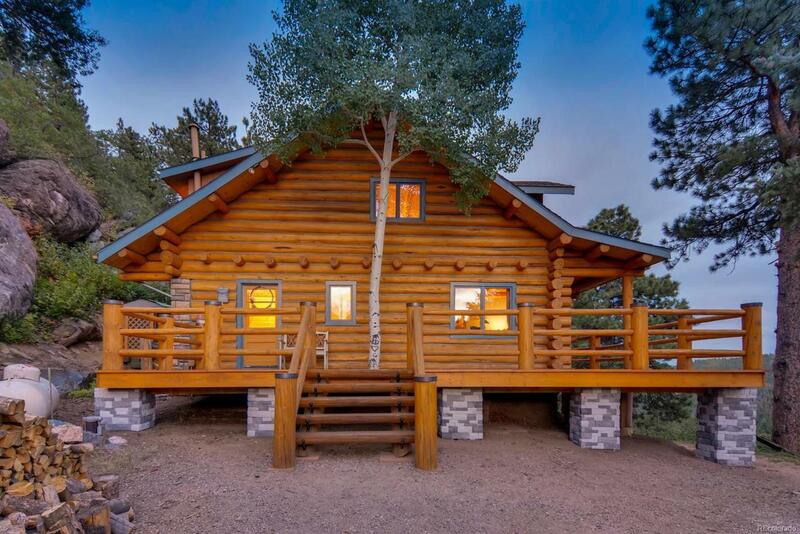 Welcome to the you Beautifully Crafted Log House in Morrison, Colorado. This home has been meticulously cared for. This 5 acre Property is located only 10 minutes from Hwy 285 and just 30 minutes from Downtown Denver. Features include: Wrap Around Deck, Vaulted Family Room, Log Beams, Slate Stone tile, Wood Burning Stove, Quartz Countertops, Eat-In Kitchen, Dining, Spacious Back Deck overlooking the Mountainous Views. Lofted and Expansive Master Bedroom Space, Master Bath and quaint study. Additional Site Features: Observation Deck, Shooting Range. Property would be a perfect 1st or 2nd Home as well as a Nightly Rental.